Going to Culinary Olympics 2012! I am proud to tell everyone that Delaware North Companies has decided to send a team to the 2012 Culinary Olympics. Those of you who are familiar with the company may remember our first trip to the international culinary competition last year. I helped coach a team of chefs including Kevin Doherty, Scott Green, Tab Daulton, Ambarish Lulay and Rick Ortiz to a strong showing. We collected two silver medals, a bronze medal and two diplomas – we proved we had the “chops” to belong. You can read all the details and stories about our last trip here. I am very excited that I’ll be able to help another team of our chefs in 2012. We’re currently searching for the best and the brightest to be on our Culinary Olympics team. 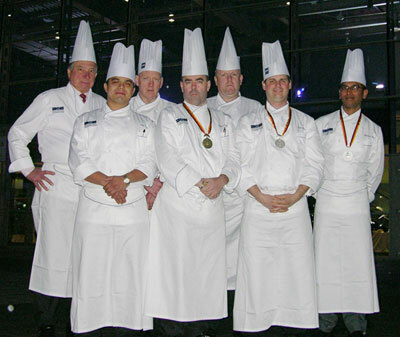 While the actual competition requires about a week in Erfurt, Germany – the training a chef must work through requires weeks and months. It is a long haul and only the strong chefs should take the challenge. I have coached chefs in several culinary competitions and I can tell you that the Culinary Olympics is one of the most grueling. Whoever is on our final team will work through the hardest culinary challenge of their lives. But, this is what makes us better chefs. That is why we do it. I’m definitely excited to be going back to the Culinary Olympics. I live for the opportunity to work with new chefs and help them grow. I am very proud Delaware North has such a strong commitment to the culinary arts. Sending a team requires a big commitment of time, money and resources. It will impact many, many people on the culinary side of our business. But, in the end, we will be better chefs and a better company for doing it. 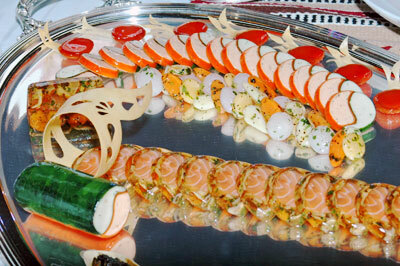 Food is the backbone of our business. And I’m proud that we spend so much time and energy investing in the people who make it great – our chefs. Alright, back to work, back to work. This entry was posted on Tuesday, July 20th, 2010 at 11:22 am and is filed under Uncategorized. You can follow any responses to this entry through the RSS 2.0 feed. You can leave a response, or trackback from your own site.